Here’s a quick list of Holiday Shopping Pop Ups to get you thinking out of the holiday gift box. 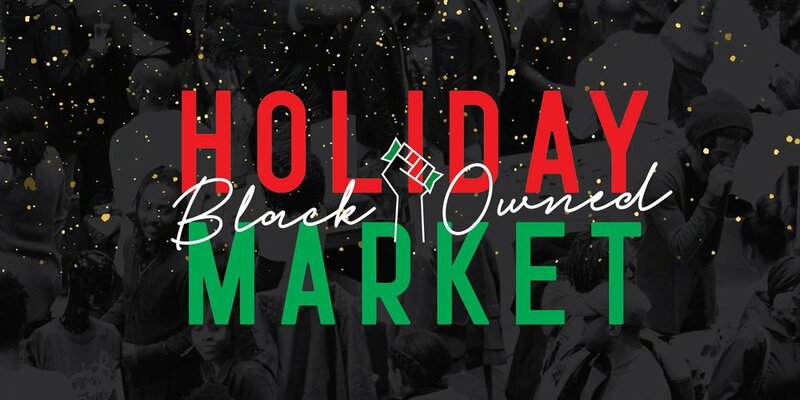 These markets can be better alternatives to mall-hopping and online shopping, especially given our current situation with the postal strike, it can be a risk to get your goodies in time. What’s good about these markets is that most items would be designed and/or made here in Toronto and you’re helping to support local (sometimes queer!) artists, non-profit organizations and business owners. A few suggestions to note for Holiday Market shopping. It’s always a good idea to bring cash, in case vendors don’t take card or you it can be useful to strike a deal, bring a reusable tote to save on paper and plastic bags, and stay hydrated, shopping can take it OUT of you. *UPDATE- we’ve added 2 more markets! Shameless plug? Maybe but you do not want to miss this! Come meet and support some amazing Toronto Drag folx by purchasing their tees, pins and other merch and even have them take YOUR glamour shot at the photo booth. There’ll be DJ sets, performances, and mulled wine! Check out the event listing for the full list of drag artists, and drag-related stuff and come have daytime fun! OCAD Great Hall 2nd Floor | 100 Mccaul St.
OCAD University’s student-run Market. Expect a variety posters, prints, zines, stickers, greeting cards, ceramics, fashion, jewelry items and more from local creators. Support 50+ OCAD artists and alumni! The 519 | 519 Church St. The annual queer (holiday) art, craft, fashion & lit fair held by Pink Market Toronto is back again to support of The 519! What’s great about this market is that it’s a full weekend and features a huge list of Queer brands and vendors like NEWFRDM, Yas Petit Poulet and Heidi Cho. Check out the full list in our Arts & Culture listing. Expect great products and services by black-owned businesses from various industries. There will also be music, performances, and food! Donations will go towards funding business development programs to support black youth entrepreneurs. Expect emerging artists and designers like selling zines, comics, prints, t-shirts, tote bags, jewelry, ceramics, crafts! The popular flower and plant space in Parkdale opens their doors to host 15 vendors from Apothecaries to donuts! Get their early the first 25 guests get GIFT BAGS! You can see the full list of vendors on the event listing! This distillery market has be come a Toronto classic. Definitely the biggest and busiest, but a fun place to go with family or friends when the weather isn’t too cold. There are also bars with mulled wine and cocktails and fire pits to warm up in. The massive tree and lights that take over The Distillery make for great social content to fill you feed for days. Admission is free of charge on weekdays until Friday at 5pm (they’re closed on Mondays).